Suggest that your mini fashionista wear a Burberry tulisa tee from Nordstrom with a charcoal skirt for a glam and trendy getup. Charcoal rain boots are a good choice to complete this look. 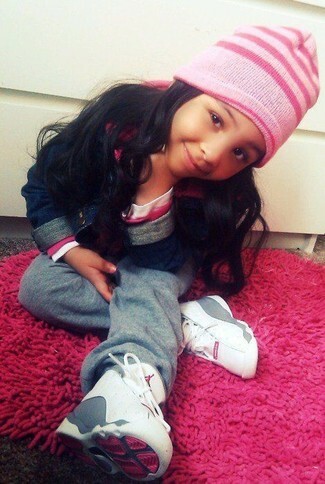 Help your little fashionista look fashionable by suggesting that she choose a white t-shirt and light blue jeans. 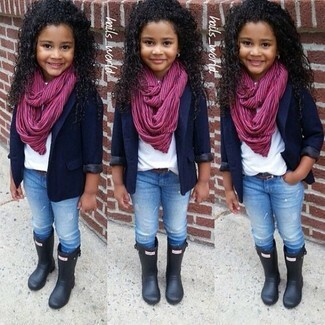 As for footwear your darling will love black rain boots for this ensemble. 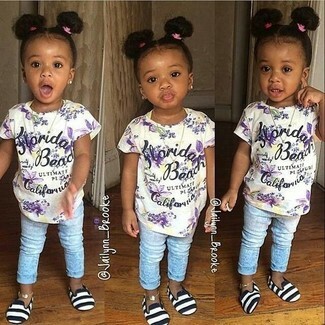 Suggest that your kid dress in a Burberry tulisa tee from Nordstrom and grey sweatpants for a laid-back yet fashion-forward outfit. This ensemble is complemented really well with black sneakers. Suggest that your mini fashionista wear a Burberry tulisa tee and white leggings for a fun day out at the playground. Tan uggs are a nice choice to complement this ensemble. 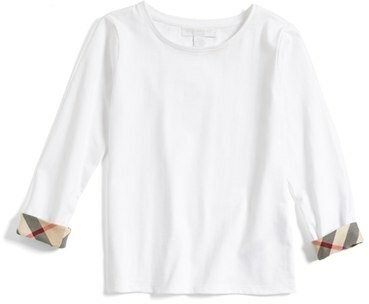 Reach for a Burberry tulisa tee from Nordstrom and white jeans for your girl for a trendy and easy going look. Tobacco uggs are a nice choice to complete this ensemble. The versatility of a white t-shirt and light blue jeans makes them great pieces to have in your child's wardrobe'. Suggest that your little princess team a Burberry tulisa tee with grey trousers for a glam and trendy getup. This getup is complemented really well with white sneakers. 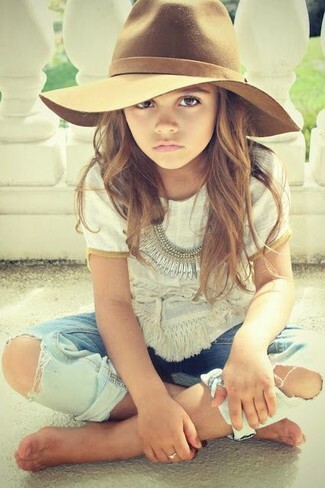 Dress your little fashionista in a white t-shirt and light blue jeans for a beautiful casual get-up. Complete this outfit with white sneakers. Choose a white t-shirt and a blue skirt for your mini fashionista for a glam and trendy getup. White sandals are a wonderful choice to round off this ensemble.